The songs shown on these pages are not nearly our entire music library, simply a collectionof the most requested dance songs. Click the “Custom Song” button to add music notshown on the list. It may be easiest to select “All Artists” to bring up the list in alphabetical order by artistname, or “All Songs” to bring up the list in alphabetical order by song title.Click the Green “ADD” button to add songs to the must play list, or click the Red “ADD“button to put songs on the do not play list.The speaker icon directly to the left of the song title or artist name can be clicked to sample songs. You will be routed to iTunes. If you don’t have the program installed on your computer, you’ll need to install it before you can listen to samples. Certain artists do not release musicin this format and may not be available to preview.Click “Save My Planner” after making any changes.Click “Submit My Planner” when completely finished customizing the information. Year after year, companies and party planners look to us time and time again for their events. Call us today and let us help you begin the planning process. Mr. Johnson was the DJ at my 50th birthday party. That was a very important night to me and he helped to make it a night to remember. 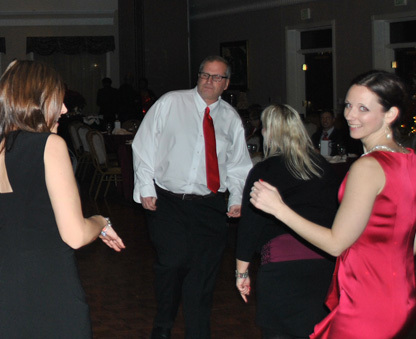 We had a very versatile group, ages 21 to 70, everyone enjoyed the music selections. Mark played music from the sixties on up through today’s top hits. I am still receiving requests asking who the DJ was and how to contact him.